K - Nearest Neighbor Classifier KNN is one of the simplest classification algorithm that is used widely across the problems where there is little or no idea of prior distribution of the data. More about KNN can be learn from this or this. Modified K - Nearest Neighbor Classifier The main problem in KNN is that not all points or nearest neighbors have same importance. Also, when the dimensions of the data increases, the accuracy of KNN decreases ( curse of dimensionality). Python provides several keywords which enable a functional programming approach for python. These functions are all convenience features in that they can be written in Python fairly easily and can be replaced by custom code with some more line of code. 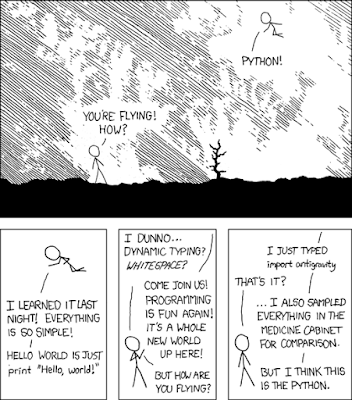 As most of the beginners to python are confused or do not efficiently use these features, I will here try to explain those features in a simple manner. LAMBDA : Lambda function also called anonymous function or unbounded function can be used as any normal function in python but without any name.Starting with the keyword lambda followed by parameters before the colon and return value after it.